BOMBSHELL: Did the Saudi King really just blame 9/11 on his fellow royals? If so, cui bono? The following headline is laughable at first glance. However, it is telegraphing extremely important information and insider intel. That the real 9/11 perpetrators are fearful enough that they feel the need to scapegoat Saudi Arabia. Whereas the Saudis may have had a hand in funding the 9/11 terror attacks, they obviously did not plan, execute, coordinate, and cover up the humongous false flag operation. The U.S. Military, C.I.A. and FBI, along with Israel’s MOSSAD and Great Britain’s MI6 each played an integral role in the terrorists attacks. Certainly far more than the Saudis could ever have played. As a result of this extremely audacious gambit, the falsely accused Saudis will have no choice but to spill the beans about their part, as well as rat out the Zionist Israelis and Bush Administration Neocons who colluded to pull down the Twin Towers. Needless to say, the unwinding of the 9/11 saga is going to get very interesting indeed. 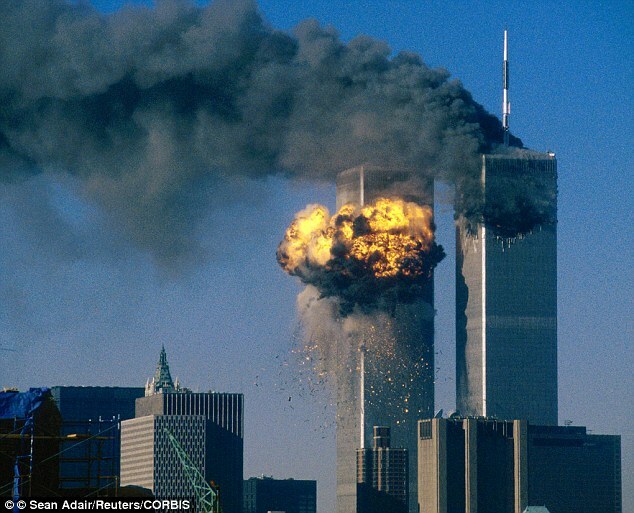 The King of Saudi Arabia has admitted members of the Saudi Royal family helped Orchestrate the attacks of 9/11 upon the United States, and they have now been ARRESTED. 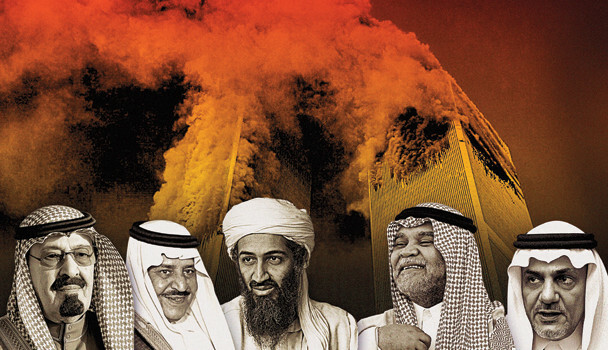 Saudi Arabia’s Prince Mohammed bin Salman recent ‘anti-corruption’ crackdown on the powerful elite has included dozens of powerful 9/11 conspirators, including Osama bin Laden’s brother and royal family members. The new purge that saw the mass arrests of royalty and billionaires saw dozens of elites placed under house arrest, including 38 cabinet members that were accused of being the architects of 9/11. President Donald Trump is said to have had a significant influence on the recent purge, which saw the end of the Clinton/Bush globalist era come to a sudden close. Clinton allies and donors, along with 9/11 conspirators, have all been arrested signaling the end of the globalist influence on the world. Many Americans have been in full knowledge of the role Saudi Arabia in the 9/11 attacks. But before Trump, weak leaders like Bush, Clinton, and Obama failed to stand up to the Saudis, thus selling out the American people. The last 16 years have seen the Saudi regime continually block information that could lead to a full investigation of 9/11, leading implications for the wealthy orchestrators. Many see the recent mass arrests as a sign the Trump’s election promise to investigate 9/11 is coming to fruition, which will deliver a long overdue justice to the Americans. Trumps said: “First of all, the original 9/11 investigation is a total mess and has to be reopened,” Trump said during the election campaign, to widespread mockery from the press. But whoever laughs last, laughs best. And Trump is developing the habit of getting the last laugh. During a February debate, then-candidate Trump took a crack at former president George W. Bush. Trump is no longer playing the cozy game of the deep state, hence the reason we are seeing such a backlash against him. Following the mass arrests, which now sees prosecutors working on cases, there may soon be light at the end of the tunnel. “I’ve got to tell you, for all the elites out in the world, the Party of Davos guys are sitting there today gobsmacked, absolutely shocked,” Steve Bannon said. “People are stunned today that he was put under house arrest, put under arrest yesterday in Saudi Arabia, in this situation of what they called corruption, money laundering, et cetera. People are thinking this is directly tied to the financing of the Muslim Brotherhood, this whole thing about cleaning up Saudi Arabia to take care of this. “You’re going to see a lot of changes. This thing is far, far from over. You’re at the top of the first inning. You’re probably at the first batter,” Bannon said.